College of Agriculture, Health and Natural Resources undergraduates, graduates, and faculty have opportunities to be involved in global work. 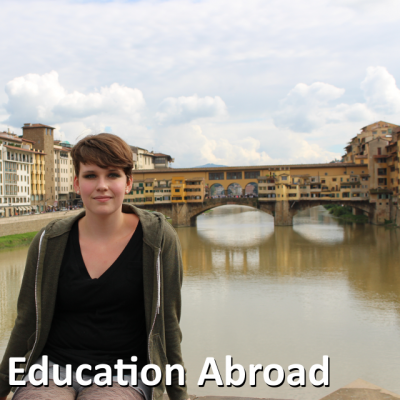 There are many programs available at UConn through The Office of Global Affairs: Education Abroad and programs sponsored by the College of Agriculture, Health and Natural Resources. Program lengths range from short-term breaks, summer break, or semester long. The College of Agriculture, Health and Natural Resources has many student clubs and organizations that provide students with excellent opportunities to become involved and meet others with similar interests. UConn as a whole has clubs and organizations for every interest - and if we don't, you can make your own club! Check out UConn clubs online through Student Activities. The Office of Community Outreach, housed under Student Activities, is committed to developing active global citizens through meaningful service activities that enrich students’ learning and enhance the quality of life for others in our local, national, and international communities. There are various opportunities for getting involved, ranging from alternative breaks, trainings, semester-long service programs, to one-time service projects. Getting involved in a student club or organization is a great way to learn more about a career field, make friends, and gain experience. Check out these healthcare-related student clubs and organizations. The Honors Program at UConn has four guiding principles: challenging academics, personalized collegiate environment, community, and engagement and leadership beyond the classroom. If you were not invited to the Honors Program as an incoming student, you may apply to the program as a rising sophomore or rising junior if you meet the admissions criteria. The Leadership Office, under Student Activities, facilitates educational and experiential initiatives that challenge individuals and organizations to explore, strengthen, and elevate their character, leadership and ability to contribute as global citizens. Programs include: Four Arrows ropes course, Future Leaders, HOLDUP!, Leadership Certificate Series, Leadership Legacy Experience, Triad Leadership Program, and various workshops and resources. The mission of the McNair Scholars Program is to prepare talented, highly motivated UConn undergraduate students for doctoral studies in science, technology, engineering, and math (STEM) disciplines. Students who wish to apply must be a first-generation college student AND low-income, OR from an underrepresented population in Ph.D. programs. The Office of Undergraduate Research (OUR) is a resource for undergraduates seeking to enrich their undergraduate experiences through participation in research, scholarship, and creative activity. OUR helps students find and develop opportunities to engage in independent or collaborative research with faculty members and other mentors. OUR also provides funding opportunities, workshops, and STEM research seminars. The Rowe Scholars Program is designed to provide opportunities (financial, academic, and experiential) to Honors students from backgrounds underrepresented in the health fields. Through mentoring, educational enrichment, community service, and professional development, students will be poised to take their places as leaders in the health professions community. The program is open by invitation to incoming first years and by application by rising juniors who are Connecticut residents. Getting involved in a student club or organization is a great way to learn more about a career field, make friends, and gain experience. Check out these science, technology, engineering, math (STEM) related student clubs and organizations. The Department of Student Activities believes there is something for everyone at UConn. They house many offices, including Community Outreach, Leadership Office, Programs Office, Business Office, Student Involvement Office, and Spirit, Pride, Traditions. The UConn Summer Undergraduate Research Fund (SURF) supports University of Connecticut full-time undergraduate students in summer research or creative projects. SURF project proposals are reviewed by a faculty committee, and SURF award recipients are chosen through a competitive process. The maximum total amount awarded for SURF awards is $4,000.